“Feed the hungry, clothe the naked, forgive the guilty, welcome the unwanted, care for the ill, love your enemies, and do unto others as you would have done unto you.” As Christmas is here in the town, the season of festivities has just started, the weather is getting colder so we need warmth and all the bliss to get past this cold December. The best part of this month is that Christmas comes in it, and we all just love to celebrate this event with our family & friends. Why does it happen all the time that the occasion we love the most comes so late in the year? But who cares? We can anticipate for the zeal, fervor and joyful times with the fellows. “Christmas waves a magic wand over this world, and behold, everything is softer and more beautiful.” Well Christmas is not only about spreading happiness among your family, but you also have to consider the poor and down trodden people who cannot afford to have luxurious life like you. Christmas calls for a lot of get together parties, indoors/outdoors, bonfires and dinners. Therefore we get to make a lot of preparations for it before the event explodes. 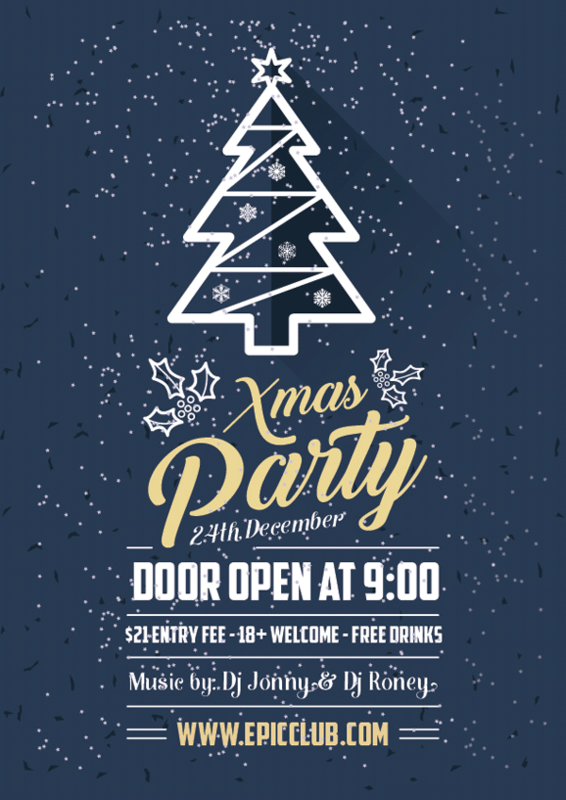 If you are organizing a party at your place or at a particular area, you can always make people know about it with the pretty pleasant greeting or invitation card. 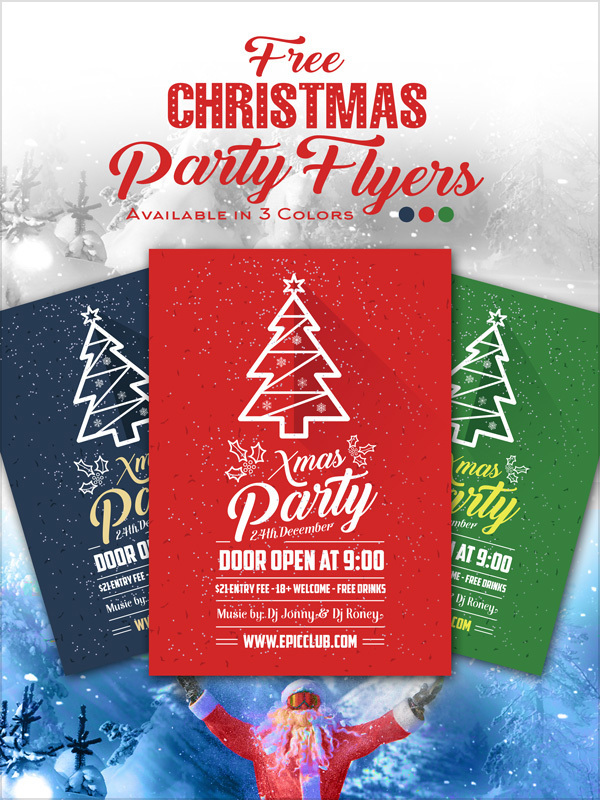 Get the best flyer or the poster design for yourself so whenever the receiver sees it, he will be surprised by its glam and glitz. Now here I am providing you a post of free vector Christmas party flyer design template. You can put in the details of the event/party, venue, timings, dress code etc. and there it is all set to ship, travel and channelize towards your loved ones. As per the event of Christmas, red and white colors are amalgamated into this template to reflect the true feel of Christmas, I am sure you will love it. “Blessed is the season which engages the whole world in a conspiracy of love.” Let us sing, jingle bells, jingle bells, jingle all the way, and enjoy the season of snow, Santa Claus, Christmas trees and gifts. Stick around for more current events, design happenings and art posts, we are decked up with some surprising stuff for you all. Here we go!